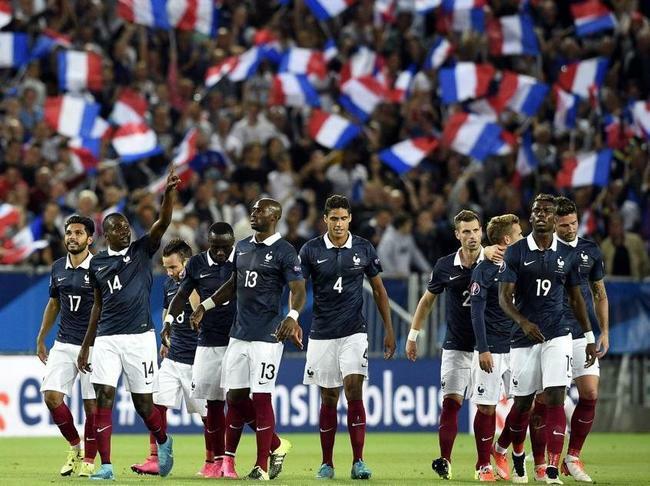 During the second half, France changed five players and the game became more equilibrated. 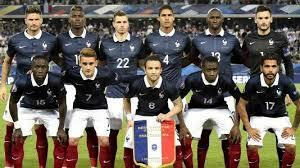 Serbia threatened occasionally but never applied real pressure and Lloris dealt well with some rare difficult situations. Hugo Lloris : 7 /10 Good, solid performance from the french captain; two important saves, but he could do nothing about the goal(deflection). Bacary Sagna : 5,5/10 An intelligent assist for Matuidi’s first goal but he had several defensive lapses; both first half Serbian chances, came from his side of the pitch. Subbed by Mathieu Debuchy (46th) : 5 /10 The Frenchman needs some playing time with his club and it shows. Raphael Varane : 6/10 Good defensive game from the young Frenchman; he provided a wonderful ball for Giroud, but the Gunner wasn’t able to take advantage; the Real Madrid’s player, needs to be more aggressive, but it seems that he prefers to stay at the back posts. Eliaquim Mangala : 5/10 Laurent Konscielni’s replacement wasn’t as good as he is in his club, Manchester City .Often misplaced, he was behind Mitrovic, when the Serbian scored. Benoît Trémoulinas : 6/10 Solid game from the former Bordelais. playing in front of his fans;good in defending, the FC Sevilla man offered some good balls to Giroud, but alas without any result. Morgan Sneiderlin : 6/10 Good game from the new Red Devil; he was the man who gave the ball to Sagna for France’s first goal, but still, he needs a bit of personality to impose his presence in the first eleven and oust Cabaye. Paul Pogba : 6/10 He’s good, technical,quick on the run, but he still needs more discipline to help him to become France’s team boss. Blaise Matuidi : 8,5/10 Two wonderful goals, always on the move, the Parisian player showed all his skills in front of a delighted stadium. MOTM. Subbed by Geoffrey Kondongbia (46th) : 5,5/10 The former Monégasque showed some good dispositions in the midfield. Mathieu Valbuena : 6/10 Petit Vélo didn’t score, but demonstrated, ( yes(!) 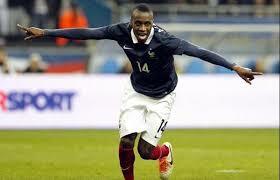 again) how much the french team need him. Subbed (75th) by £36M. Man, Anthony Martial : 4,5/10 but the youngster wasn’t effective enough. The new Henry Thierry ? Time will tell. Olivier Giroud : 2,5/10 What can I say? Apart a good ball in the first minutes of the game, Arsenal’s player wasted all the good balls that his teammates sent him, especially Griezman’s wonderful pass, in front of an open goal. He’s also the man who lost the ball that went into Lloris net. A night to forget for the Frenchman. Subbed by Karim Benzema (61st) : 6/10 who was his usual self. Antoine Griezmann 7/10 Very good game from Atletico Madrid man; he organized the game up in front, beautiful footwork and he should have scored, bar the Serbian post.This was his best performance, with Les Bleus. Subbed by Moussa Sissoko (90th not noted). P. Rajkovic : 6/10 Made a good stop against Griezmann (2nd) and another one versus Giroud(16th) Good in the air, the young goalkeeper showed lots of promise. I. Obradovic : 4/10 He gave too much space to his opponents, especially Sagna and Débuchy. N. Tomovic : 4,5/10 Lazy in defense, he was lucky that the French attacks were from the other wing; he clearly lucked confidence, especially when getting forward. U. Spajic : 5/10 He should be glad that Giroud lacked precision but nevertheless Toulouse’s Serbian international, won a fair number of headers. B. Ivanovic : 4,5/10 Quite strong in the penalty area, he was enabled to help on the first goal and during the game he scrambled away a few dangerous crosses. N. Matic : 6/10 Tested Lloris with a low drive and tried to put some pressure on Paul Pogba, but it didn’t work. It was his header that brought Matuidi’s second goal, but it was also responsable for giving the ball to Tadic thus helping his teammates to score. A. Mitrovic : 5,5/10 Isolated up front most of the time, had the good fortune of seeing Marcovic’s shot deflected off his leg and into the back of the net ! Had very rare balls to do something worthy.